Can South Africa deliver on its smart city dreams? In 2002, South African Internet entrepreneur and space tourist Mark Shuttleworth lent his name to Cape Town’s new e-commerce hub in the city’s central business district (CBD). 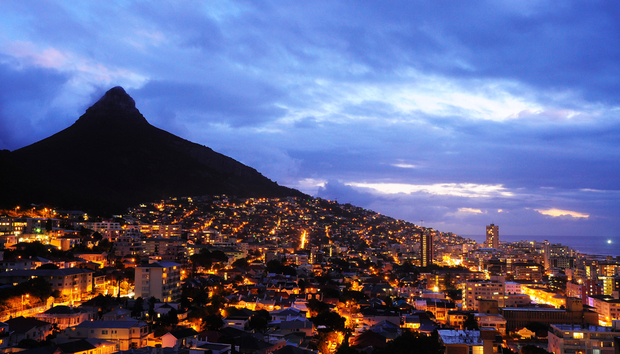 At the time, the Cape Town Partnership was striving to create South Africa’s own – and first – e-city. The idea, according to then-Partnership CEO Michael Farr, was to create a Greenwich Village type set-up in Cape Town’s CBD where residents who run e-commerce ventures would be able to “live, work and shop”. The hub was to be part of making Cape Town a digital city in the mould of Dubai Internet City. Now, 14 years later, Cape Town is again seeking to become “the first truly digital city in Africa”. According to mayor Patricia de Lille, the digital city initiative “focuses on digital government, digital economy, digital inclusion and digital infrastructure. Three projects derived from this are the rollout of broadband, the provision of free Wi-Fi zones and a pioneering Open Data Policy”. Cape Town is not the only one of South Africa’s urban centres looking for smart city status, though. Johannesburg has its own plans, having announced its status as digital city following the roll-out of its 900 km fibre optic broadband network in 2014. But while both cities have made gains in digital roll-out and initiatives, they still have not fully realised the smart city dream. Call it a digital city, a smart city or an e-city, the concept itself has been through multiple iterations and there remains a variety of different definitions for what it means to be truly smart and digital. In a country that still bears the scars of Apartheid and a continuing digital divide, creating a smart city is tricky. For Maxine Case of the Cape Town Partnership, a smart city means an accessible city: whether in terms of how people navigate its pathways and places to how they access information about the city. “I also take inspiration from the City of New York, which states that a smart city is an equitable city, and that is my dream for Cape Town too,” she said. Both Cape Town and Johannesburg aim to become smart cities, offering benefits for digital business and for residents alike. Piva explained that the fact that there is such a wide spectrum of citizens – in terms of income and quality of living – in South Africa makes rolling out ‘one size fits all’ solutions difficult. He added that segmenting citizens is difficult and offering the right solutions to the right segment is likely a bigger challenge in South Africa than in some other countries. The difficulty is providing solutions that work for all of South Africa’s citizenry rather than just the wealthy and elite. Michael Beckley, Chief Technology Officer of Appian, said that digitalisation at the city scale requires firm commitment from the very highest level of leadership. “Without it, the digital dream becomes just that – a dream, and an expensive one at that,” he said. For him there are two things that are an absolute must in order to make the dream of Africa’s first true digital city a reality. Firstly, he said, it has to happen quickly. “As any government leader knows, initiatives that drag on are also those that tend not to be completed. In order for the digitalisation process to really take hold, applications need to go from idea to production in the blink of an eye,” he said. Secondly, Beckley said, it has to be natively mobile. By this he means that this is a processes that need not happen twice – once to digitalise the city, and a second time to make it available on mobile devices. It must be developed once, and deployed everywhere. Cape Town’s approach to digitalisation is focused on primary service delivery of the local city authorities. Case explains that this is about responding to the very real challenges of increasingly scarce resources around the globe and increasing migration of populations to cities. She noted that, as this migration takes place, in South Africa and around the world, cities will be constrained to accommodate this influx of people. “Smart cities initiatives assist a city to become sustainable and resilient. Smart city initiatives can achieve economies, such as optimal use of scarce resources such as water and energy. They can contribute to better housing opportunities situated closer to business nodes, as well as more efficient traffic management systems. I am also very interested in ways that smart city initiatives can benefit education as well as food security,” she said. To that end, there are three aspects of the smart city initiative for Cape Town, namely managing the demand to water, managing the demand to electricity, and managing the demand for internet connectivity. South Africa’s legislative and regulatory framework can make this difficult. For example, Case explained that serious efforts are being made by the local city authorities to ensure that when price parity is achieved between buying municipally-supplied electricity (profits of which cross-subsidise poorer households) and installing your own solar generation, that Cape Town residents will choose to continue to buy their electricity from the municipality and not unplug themselves from the grid. “These efforts are in navigating very restrictive red tape imposed by Eskom, the incumbent power utility,” she said. She emphasised that in order to stimulate inclusive participation in the knowledge economy, affordable internet access is key. “However the incumbent telecoms utility is unable to provide this, and municipalities cannot afford this. Therefore the City has opted to create a market environment which helps facilitate the private sector to meet this need. Through the usage savings achieved by building their own fibre network between municipal buildings, the City saves on their previous telecoms bill and established a network that the private sector can leverage to provide services in previously unviable areas of the city by leasing access from the City,” Case said. Access to the internet in South Africa until 2009 was provided solely by two submarine cables connecting users to the global internet. According to Case, this has now risen to five undersea cables and the country is now considered to be amply served. Access however is not only about infrastructure. Data costs – for both fixed line internet and mobile connectivity – remain high and latest statistics show that only 47% of South Africans have access to the internet. By global standards, South Africa’s internet connectivity remains slow. In 2015, a study by StanLib found that the average global connection speed was 5Mbps with a global average peak connection speed of 29.1Mbps. In contrast, South Africa’s average connection speed was found to be 3.4Mbps, ranking it 90th fastest average connection speed in the world. The challenge, then, lies in connected solutions that are accessible by all of the population in a cost-effective and sustainable way. There have been a number of initiatives put in place to make South African cities smarter. According to ICT research company International Data Corporation (IDC), South Africa is the leader when it comes to smart city technology in Africa. “All three of our biggest cities ̶ Johannesburg, Cape Town, and Durban ̶ have put into operation some variants of smart city solutions,” said Reshaad Sha, Chief Strategy Officer at DFA, South Africa’s largest open access dark fibre network. Sha cited the South African Revenue Service’s highly successful eFiling system and online application portals for car licence renewals or new businesses registrations, as well as the City of Johannesburg’s implementation of the “load-limiting” smart meters enabling the power utility to better monitor and manage electricity supply. “During periods where the electricity grid is under pressure, households will be alerted to turn off high-consumption appliances to avoid full power cuts,” he said. In Cape Town, the Isabelo Smart Bench initiative, which was piloted in March 2016 as part of a partnership between Isabelo, Wesgro, the Western Cape investment and trade promotion agency, and the Cape Town Partnership, is an example of how collaborations can achieve smart city goals. This solar-powered smart bench allows passers-by to access the internet, provides USB charging points and offers a place to sit. Emma Powell, a spokesperson from the Office of the Mayoral Committee Member for Corporate Services and Compliance in Cape Town explained that the City supports six special purpose sector bodies, namely the Cape Information Technology Initiative (Citi), Cape Town Fashion Council (CTFC), Clotex, Cape Craft and Design Institute (CCDI), GreenCape, and Business Process Enabling South Africa (BPeSA WC), as well as Wesgro and the Western Cape Economic Development Partnership for trade and investment promotion. Citi, which is based at the Bandwidth Barn in Woodstock, has a wide array of initiatives in place to support economic growth and job creation in Cape Town, with a strong bias towards transformation in the industry. It is home to innovation clusters and hubs such as Barclays Rise, an acceleration centre for tech entrepreneurs working in financial technology. “Cape Town was selected as the African capital for Barclays Rise, thereby making our city the fourth global site after New York, London and Manchester. This brought investment of about R15 million ($1 million) into Cape Town,” she said. Thomson Reuters has also recently selected Cape Town to be the host of their African innovation lab, beating the likes of Johannesburg and Nairobi. “Earlier this year, the Bandwidth Barn in Khayelitsha commenced with the implementation of Citi’s enterprise development strategy after in-depth consultation with the local community in response to their digital needs. Currently 53 businesses are registered tenants on the premises,” Powell said. Powell explained that the City of Cape Town has invested just over R10 million ($700,000) in Citi since 2011, some of which has been used to fund CapaCiti, a job-readiness programme born out of the need to meet the ICT-related requirements of industries such as insurance, asset management, and retail which were offshoring their software development skills outside of the region. Since its inception, this initiative has skilled more than 900 underprivileged youth from low-income areas such as Delft, Khayelitsha, Gugulethu and Mitchells Plain in scarce IT skills. « How close is quantum computing?